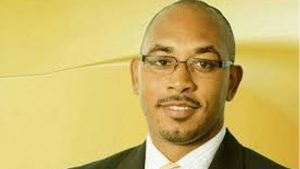 People’s Action Movement(PAM) Chairman, Ambassador Jonel Powell, is in support of a salary increase for parliamentarians. Powell a guest on Freedom Fm’s Issues on Thursday afternoon noted that a Salaries Review Commission must be convened by the Governor General every 3 years as mandated by the law. Powell explained why he is of the view that a salary increase is necessary. Responding to Opposition Leader the il Douglas’ position that the funds that would go into these pay hikes should be spent on much needed areas of development that would benefit the country and its citizens, Powell shared the view that the economy is in a good condition to support the proposed salary increases whilst praising the fiscal prudence of the Team Unity Administration. The country was first informed of the existence of the Salaries Review Commission by Queen’s Counsel, Charles Wilkin in a radio commentary two weeks ago.